"I remember Liz well from our days at Hudson's Bay High..."
"Lovely photo of Liz! I enjoyed working with her for many..."
"I went to HS with Liz. Later when we worked together at..."
"It brings me comfort to know before you passed, that you..."
"Such sad news. I first met Liz in 1974 and worked along..."
Elizabeth Ann Paul, 64, passed away at her home in Vancouver, WA, July 26, 2016. 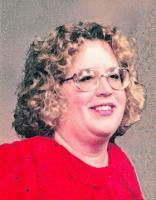 She was born on Aug. 11, 1951 in Vancouver, WA to Clarence and Arlene Paul. Liz graduated from Hudson's Bay High School in 1969, Clark Community College in 1971, and attended WSU. Liz worked for the Department of Energy for over 43 years, volunteered for the Bonneville Power Administration's food drive, and belonged to St. John's singles group. She was very creative and loved gardening, her career, animals, country music, garage sales, collecting, cooking shows, and science fiction, but what she cherished most, was spending time with her grandchildren, nieces, and nephews. Liz is survived by her daughter, Jessee Hale; two grandchildren; and her siblings, Cheryle Paul, Mark Paul, and Janet Paul Boers. There will be a memorial service, Sat., Aug. 13 at 10:00a.m. at Vancouver Funeral Chapel, 110 E 12th St., Vancouver, WA 98660, followed by inurnment at Evergreen Memorial Gardens. Contributions may be made in Liz's memory to the Diabetes Foundation or the ASPCA.